NES Super Contra 7 in 04:33.12 by Marx. 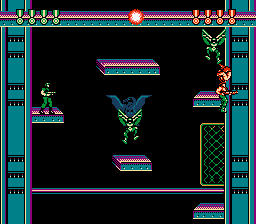 Super Contra 7 is a pirate game based off the Contra series, developed by E.S.C. Co (alias of Waixing) in 1996 for the Famicom. It is likely a hack of either Contra or Super C, given that the engine appears to be a modified version of the Contra engine. The game features a pretty psychedelic soundtrack and several glitches that aren't present in other Contras, and Marx makes sure to use them well. This time he uses 2 players and improves the previous movie by 6.75 seconds.